During and after a serious storm, downed power lines and shorted house wiring can pose a considerable risk of electrical shock. To keep yourself and your family out of harm’s way, it’s important to follow a few simple safety rules. Read on for advice from the electricians at RM Electrical in Belleville, IL, to minimize your risk of injury and property damage after a storm. Water can carry an electrical current. This includes both puddles outside the home and any standing water indoors. Steer clear of puddles wherever possible, and if you must stand in water, avoid touching any electrical wiring, outlets, switches, or devices. If you can do so safely while standing in a dry area, unplug any of your appliances that were left plugged in before the storm. 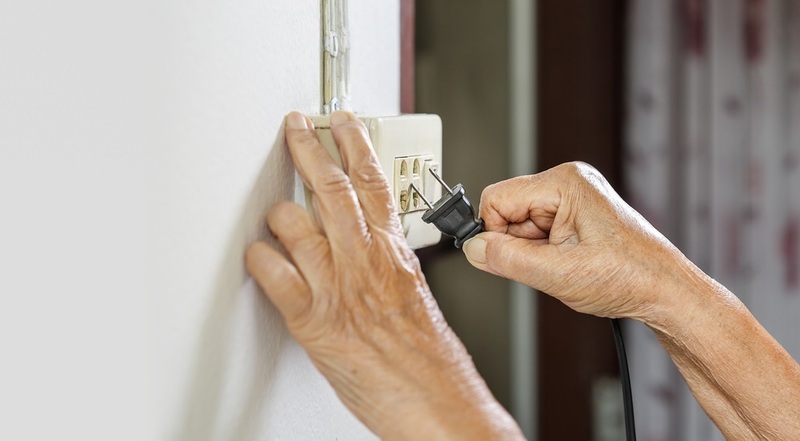 As electricity is restored, your home may experience power surges that can damage anything plugged in, even if it’s turned off. If you need to cook, a gas stove or grill is a safer option than an electric range. Continue using gas appliances until power has been restored to normal and you’ve had an electrician repair any damaged wiring in the home. If your wiring isn’t damaged, a gas generator can be an effective stopgap measure to keep your home running until the power comes back. Just be careful to use your generator in a well-ventilated area to avoid dangerous fumes—and don’t use it if the storm has caused any apparent electrical hazards in your home. Your power company likely knows which areas are without power from the moment the storm ends, so there’s no need to call and report an outage. But you should call if there’s an emergency, such as a downed line in your area or other dangerous conditions. Once the storm is past, RM Electrical in Belleville, IL, will be there to help you repair your home’s wiring. Whether it’s storm damage, an outdated electrical system, or a simple breaker box problem, their skilled electricians will provide the repairs you need at a price you can afford. To schedule a visit to your St. Clair, Monroe, or Madison County home, call (618) 939-0422 or send a message online.